October 29, 2014--Love the framing. December 1, 2013--There's nothing more to add for December, so I'm done! Now to see what my framer can do. November 8, 2013--The November lesson is done. I like the chain pattern, but am not sure how I like the colors. The two narrow edges are now lost. Looking forward to the final lesson in December. October 6, 2013--October stitching is now complete and I love how nicely the gold diagonal back stitches fill in the empty space. Now I'm wondering how the canvas will be stitched between the two outside borders. September 4, 2013--The lesson for this month is done. It's looking very pretty. Looking forward to what the next three months will bring. 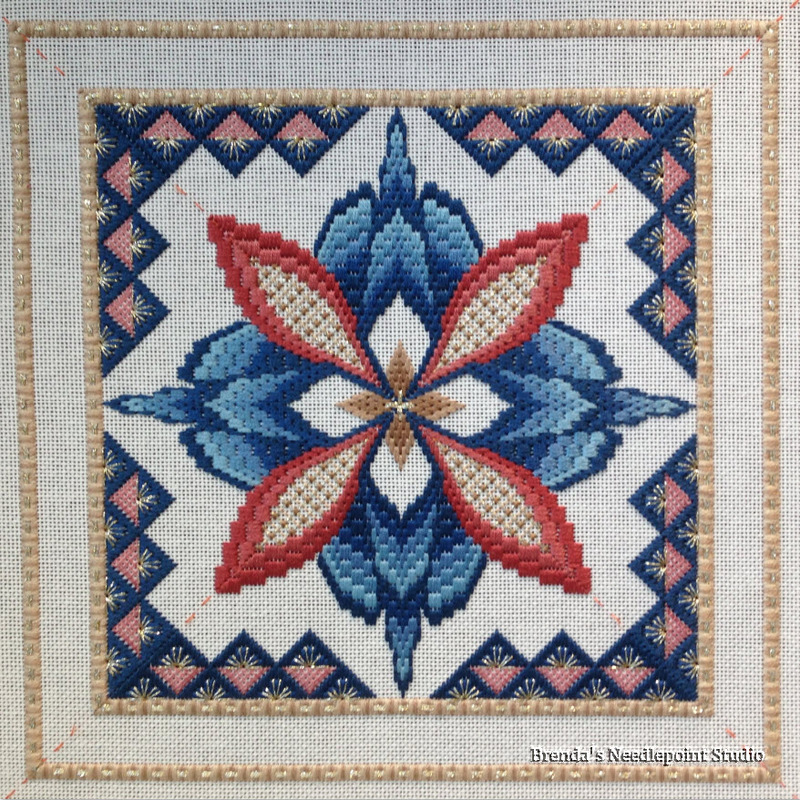 August 3, 2013--Just finished stitching the August lesson--took very little time to do this month's assignment. Am unable to figure out what direction the design is taking, but so far it's been interesting. Looking forward to September. July 5, 2013--Completed the July stitching. It's a beautiful trellis pattern which fills in much of the space very quickly. Nice. June, 2013--The stitches inside the red area remind me of a fruit pod. Pretty. May, 2013--The additional blue section is adding nice dimension. April, 2013--The four corners are called leaves by Debbie. If I had known this at the beginning, I would have reversed the colors. Oh well, I'll play it out through December and hope it won't matter. March, 2013--This month's lesson gave us dimension. Pretty border. February, 2013--What a great beginning. Love the pattern. January, 2013--Love starting a new ANG Stitch of the Month Mystery project. 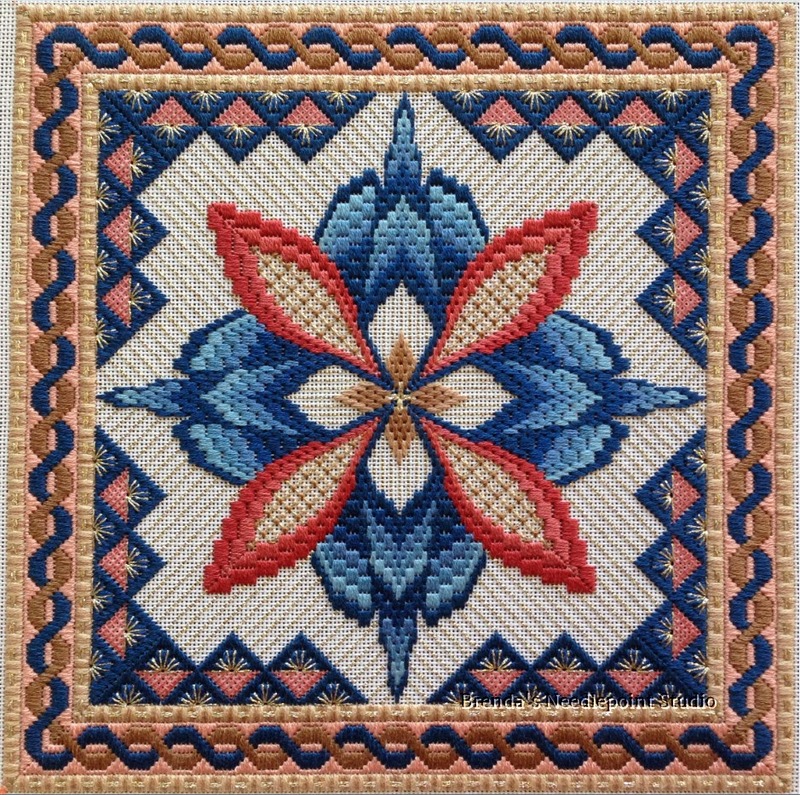 This is my fourth SOTM and each year has been a real treat to stitch. 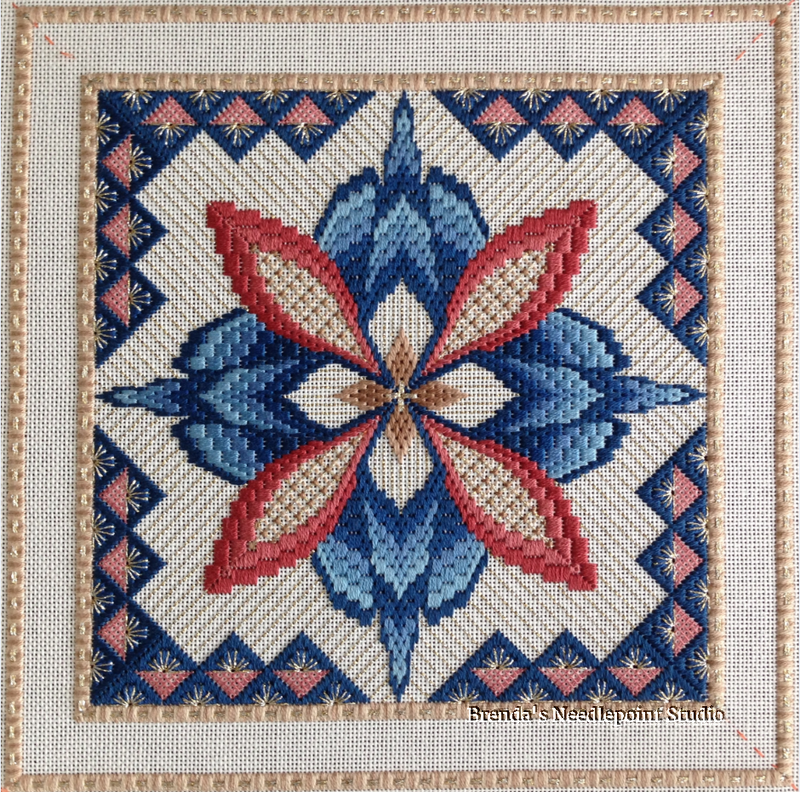 This year's project is taught by Debbie Stiehler using Bargello stitches. 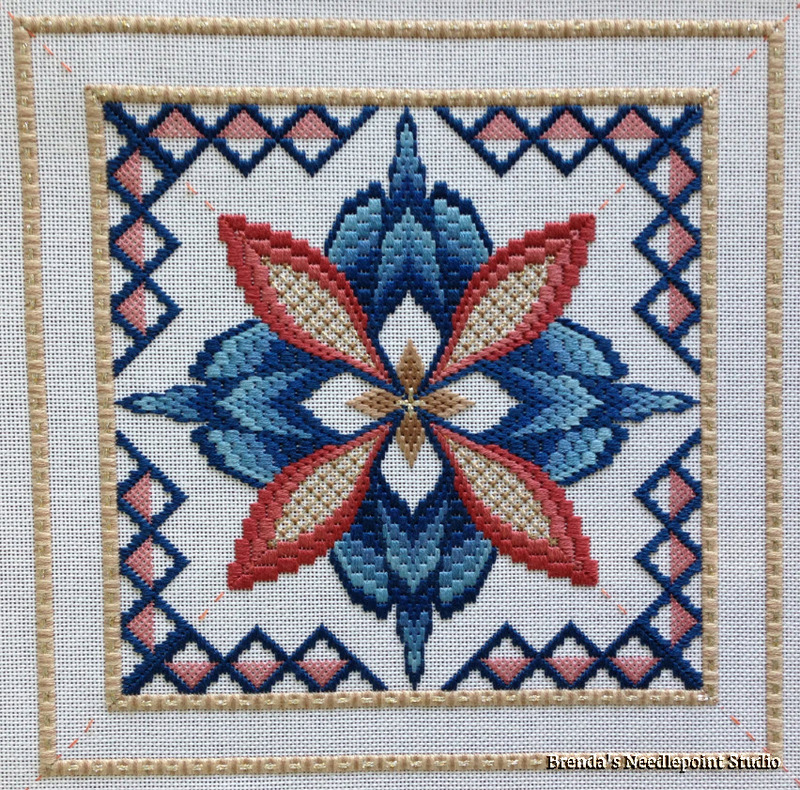 January's lesson was to lay down basting stitches from corner to corner on the diagonal. Onward to the fun. Thanks Kathie for your very nice comment.